19 Jan You Make It All Up!!! I was looking for a really good example for a lesson I wanted to share with you. Today, I found it. You will be well served in the New Year – now nearly three weeks old! – if you pay heed. And I found this example, by happenstance, when I was not looking. In fact, I was goofing off and watching a movie. Let me give you some background. Saroo grew up dirt poor in India. He was very close to his elder brother Guddu who would watch out for him and play with him and promised to get him lots of jelabis – an Indian sweet that they were too poor to afford. He was also close to his mother who would hug him and cuddle him and feed him and care for him. When he was five years old Saroo went to sleep in a stationary train that started up and transported him to Kolkata, more than a thousand miles from home. Destitute and starving, unable to speak Bengali, the local language, he lands up in an orphanage and is adopted by affluent Australian couple. He is brought up in Tasmania. Flashes of his childhood keep recurring and, with the encouragement of friends, he estimates how long he was on the train and maps out places that could have been his home. He then spends months visiting these via Google Earth. Turns out that Guddu had been struck by a train and died the same night he was lost. He dissolves into tears and the heartache is palpable. 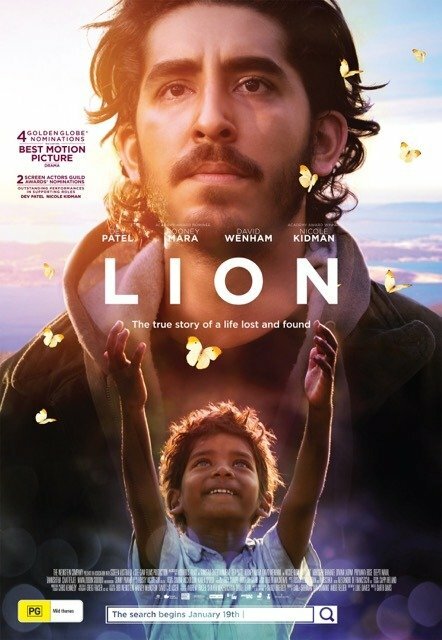 For the curious, the movie is Lion and it is still playing in theaters. Doubtless it will appear soon on Netflix and other streaming services. It is that the grief he felt was something he manufactured in his head. Pause to think this through before you push back. Guddu had died nearly three decades earlier. But the sorrow and anguish he felt was today. He made it up in his head by the way he processed information. He passed through many years of normal life and the elation of romantic love and the pain of sibling squabbles while Guddu was already gone. He made it all up in his head!!!!! He did not realize that this is what he did. Quite likely it was involuntary. Possibly you, also, are reluctant to accept that this is what he did. But he did. He took a memory, infused it with emotion and mixed it with recent knowledge of past events and felt deep pain. Every time you think of an ex or some mistake you made in the past and wince, every time you worry about any event that ‘could happen’ you are manufacturing sorrow between your ears. Think about this again and again till you see very clearly that this, in fact, is what you are doing. Recognizing this is the first step on the long journey to rehabilitation. To stop indulging in needless suffering. And, by the way, Saroo’s emotions were probably socially appropriate and not ‘harmful’ if he let them go in good time. In future posts I will give you tools to help you stop wounding yourself. If you want to get a headstart, consider enrolling in the next Creativity and Personal Mastery program that begins in New York on February 24. The tuition will go up soon so consider doing it now if this has been on your radar.